Engine Accessories There are 6 products. 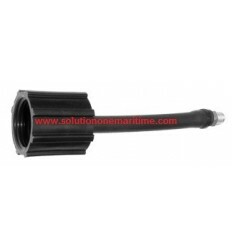 Fits, Nissan, Tohatsu, Mercury and Evinrude models from 2005 through current production TOHATSU 3GR625000M Steering Lock Kit for the 4 / 5 / 6hp 4-stroke models. 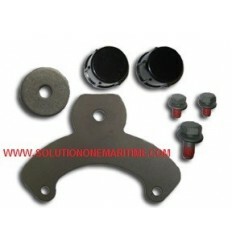 Kit allows motor to be locked into a fixed position to allow boat to be steered using the boat's rudder. 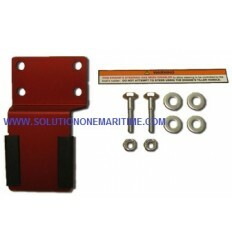 Perfect for sailboaters that want to use their rudder to steer instead of the motor. 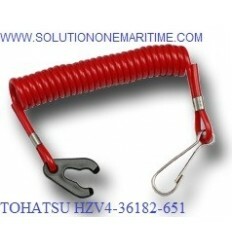 TOHATSU 3V1625000M Steering Lock Kit for the 8hp & 9.8hp 4-stroke REMOTE models. TOHATSU 336600070M Flushing plug Attaches your garden hose to motor in order to flush the motor with freshwater after use in saltwater and/or brackish water.Fits 4B ~ 40C 2-stroke models & 2hp ~ 30hp 4-stroke models. 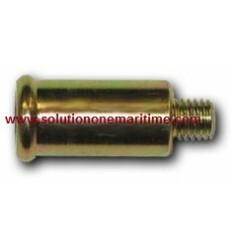 TOHATSU 3GR724060M Flushing plug Attaches your garden hose to motor in order to flush the motor with freshwater after use in saltwater and/or brackish water.Fits 4B ~ 18 hp 2-stroke models & 2hp ~ 20hp 4-stroke models. 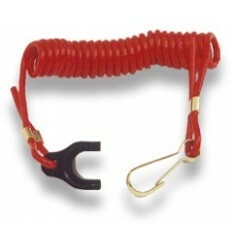 Nissan Tohatsu 353068200M This is the safety kill switch lanyard that your engine must have in place in order for it to start and run. Without one of these you aren't going anywhere. And yes, you need a spare because they float like an anchor:) DOES NOT FIT THE BFT MODELS!